American singer Adele and actress Jennifer Lawrence surprises fans after appearing at a gay bar in New York. 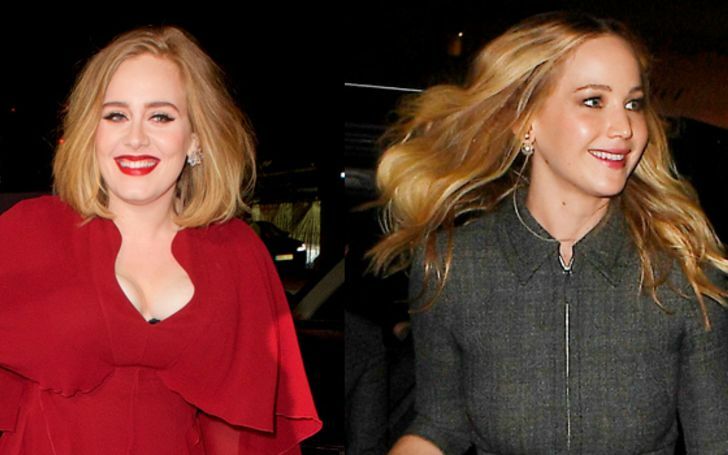 Adele Laurie Blue Adkins, precisely Adele and her BFF Jennifer Lawrence entertained themselves in a wild Friday girls night out celebration at a gay bar in New York. The Oscar-winning actress Jennifer, 28, and Grammy-winning singer Adele, 30, didn't hide their presence, instead posted pictures of them partying hard and enjoying the night. An exclusive video of the party from Joe Michael II, a member from the Friday Night party, was posted on March 22. Rolling in the Deep singer later pranks audiences; specifically, Jennifer pretended as she passed out of overdrinking. Check it out. Lawrence wore a tan sleeveless turtleneck with her hair in a messy bun, while Adele opted for a black coat over a black t-shirt and leggings with dream catcher earrings, perfectly matching her beauty. The party was lit, the duo was the party starters, highlighters, and rockers. Some attendees even said that was the best party in their lives. Adele and Lawrence have been friends since they first met in 2013. The partners in crime also debuted in 2018 Women's March together. Isn't their friendship and bond amazing and worthy of envy?